Thank you to iheartdinosx3 for nominating me, I feel so honoured. Her blog tells the story of the awesome Belle Legacy. Starting with the cute founder Violet Belle, the legacy moves on through the generations, faces various challenges and produces interesting heirs. Be sure to check it out! Now you are probably wondering what the Liebster Award is. 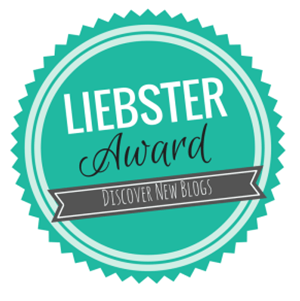 The Liebster Award is a pay-it-forward award for blogs you really enjoy. By linking the person who nominated you and by nominating other blogs, we create cross-blog traffic and basically share awesome blogs and stories we love. This story takes you into a sci-fi fantasy world which is brought to life amazingly well. War is threatening the kingdom of Xaabos. Princess Leyva and her best friend Shaela try to navigate through these perilious times. But Sheala is Helsian and her and Leyva’s people are actually enemies. Can they stay together and defeat all obstacles? There are two stories by VanityHigh that I read and enjoy right now. But I have to read more from her because those are already so great! “Rodney’s Room” is a story about one sim in an 8×8 room with no way out. Rodney seems to enjoy his lonliness at first, but after a while he makes some weird discoveries! “After, ever after” is a story about the differences in social status love can overcome while also sprinkling the story with unknown motives and a mysterious past! We live, we love, we die. But not always in that order. That’s the slogan of an amazing story about a ghost romance. I guarantee you, once you start reading, you will be hooked! Don’t blame me for signs of addiction you might experience. We follow Yusun, a tribal daughter how looks to build her own tribe in a new world. She discovers newcrest and takes up the challenge of building a successful tribe in this town. Maybe romance is also in the cards for her? This approach at the buildnewcrest Challenge is so funny and emotional at the same time! Not all sims are just pretty. But can Giranna Hasslich breed out the ugly in 10 generations and also found a successful legacy? She and her descendants sure have the character and the awesomeness to do it. The challenge of building Newcrest is taken up by Kirk Bloomer, the charismatic founder of this awesome legacy. ThePlumbob mixes drama with hilarious moments and lots of fun in the Bloomer household. 1. What is the one Sim blog that you follow almost neurotically because you can’t wait for the next update? That would be Dust to Dust! I just love this story, I can’t get enough of it. I’m so glad, CitizenErased14 posts updates almost daily so my addiction gets statisfied. 2. What is your favorite Sim from any of your stories? I’m in love with Baato, a slave from my Amazon challenge story “Tribe Arayeo”. He’s been around since the beginning and although his laziness gets him in trouble sometimes he’s still adorable. I feel bad sometimes for putting him through so much drama. 3. How long did it take for you to get your blog up and running? I had a forum thread before but when I switched to wordpress it took me about one day to move all the posts. Gladly, I had only 30 chapters from all my stories up at that point. 4. How long has your blog been up? It’s fairly new, it has been around since August 9th. But I’ve been writing simlit since early July. 5. About how long does it take for you to write a chapter for your story? Probably about one hour. I usually have a clear picture in mind of how the chapter should be like and what kind of screenshots I need. Then I shoot and do some touchups to the shots before posting. 6. Where do you do most of your thinking? In bed! I get the best ideas right before I go to sleep. I should tell my brain to take the thinking elsewhere because sometimes I can’t sleep thinking about all the ideas I have. All of it! No, seriously, I can’t even decide. I love Italian food, so if I had to choose I would probably say pasta. But don’t even get me started on all the variations. I guess I’m really a foodie. 8. Do you play any games other than The Sims? If so what game are you working on finishing right now? Video games is my favourite hobby. I play Assassin’s Creed, Dragon Age, League of Legends, Anno, Uncharted, Civilization and more! 9. If you could choose any place to live in the world, where would it be? Sweden. I’ve been there once and I just loved the nature and the cities. 10. If you could bring one of your Sims to real life, who would it be? Manika, she’s the second generation creator in Tribe Arayeo. She’s such a strong and inspirational woman, I would love to have a chat with her. 11. What is your favorite thing to do in your freetime? Video games as I already said above. But I also enjoy cooking and painting. Why SimLit and not just normal writing? Did you ever get really emotional about your own story? What do you prefer: simple praise or constructive criticism? How long did it take you to decide on a theme and design your blog? How many other blogs do you follow at the moment? What do you like best about your story (or one of them)? Which character from your stories did you think about most before writing? Is there any sim in your stories who you struggle to write? If so, why? Which character do you enjoy writing most? When did you start writing or reading simlit?